I know I am. I absolutely love getting together with my friends – the more, the merrier. When we get together, we’d often have a couple more drinks than usual. Some friends would want to have a smoky treat. We’d laugh louder. The more we drank and smoked, the more fun we had – or so we thought. The problem is that excessive drinking – and any amount of smoking – isn’t good for us. It is NOT a recipe for having fun, and it can even be a prescription for disaster – we all know the risks of driving after too many drinks. The problem with “social smoking” is that it’s still smoking. Your mind may be telling you that you’re not really a smoker, but your body is definitely feeling the effects. Just one cigarette increases the stiffness in the arteries. If you’re on birth control pills and smoke, you increase your risk of heart attack, stroke, blood clots, and peripheral vascular disease by a LOT. And the effects are cumulative. The rate of damage will be slower if you rarely smoke, but it all adds up. Overall, statistics show that even just occasional smokers – women who don't smoke daily or even weekly – live up to six years less on average than non-smokers. Is smoking worth cutting your life short by six or more years? No way!! 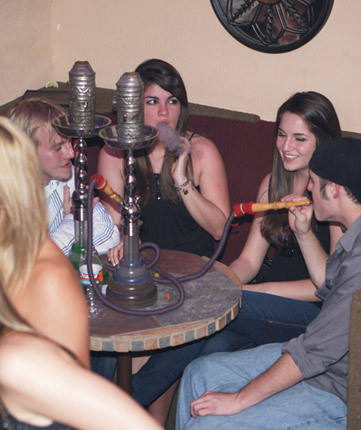 Hookahs are another popular social activity; hookah bars are popping up all over. Statistics I read say about half of all college women had sucked on a hookah pipe by the end of their freshman year. During a typical 45-minute hookah session, you're smoking the equivalent of 56 cigarettes and are taking in a higher concentration of tobacco's toxins. Problem is, hookahs aren’t any safer than smoking regular cigarettes – in fact, they may even pose more dangers, because you actually inhale more tobacco smoke than cigarette smokers do. One 45-minute hookah session is about the same as smoking 56 cigarettes or almost three packs! * Hookah smokers run the exact same risks as those who smoke regular cigarettes, and we all know what those are: lung and oral cancers, heart disease, and other serious diseases. Contrary to what you may think, the water doesn’t filter out the toxic ingredients in the tobacco smoke – in fact, hookah smokers may take in a higher concentration of the toxins due to the fact the they are puffing more often, inhaling deeper and puffing for longer. And the more social we are, the worse it is for us to be hookah smoking. Because hookahs are a social activity, you add one more layer onto your risks. Hookah pipes may not always be cleaned properly, so there is also the risk of contracting an infectious disease such as herpes, hepatitis, and even tuberculosis. The first step is to realize that you CAN have fun with your friends without having to smoke cigarettes or hookahs. I would guess than some of your friends have been trying to get you to quit smoking for a while. If you know that some of your friends will want to get you to join them in social smoking, I'd advise telling them that you’re trying to break the habit. If they’re really your friend, they will support you, because they know you’re trying to take care of your health. You might be surprised to learn that as a social smoker, you may not actually be hooked on nicotine. Of the 40 million adults who smoke, only about 60 percent are actually addicted to nicotine, according to the most recent National Survey on Drug Use. You can have good, clean fun with your friends vaping an e-cigarette with no nicotine! All other smokers are smoking just for nicotine’s feel-good effects, not to stave off withdrawal. That’s why the e-cigarette with no nicotine or with low nicotine may be a great alternative for you – you get to have a guilt-free smoky treat while being social with your friends. And your non-smoking friends will thank you for not exposing them to deadly secondhand smoke! 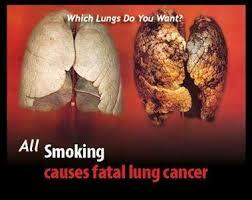 *According to a study in the Journal of Nicotine and Tobacco Research. Good info here. I had NO IDEA Hookahs were so nasty! Excellent suggestion, indeed, Maria. E-cigarettes are much more people-friendly than hookahs and cigarettes. They don't lead to second hand smoking, no detriments to the environment, and no cigarette-stink either! Amazing suggestions and information, I really think to stop selling of tobacco because it doesn't have any positive impact just finishing you slowly. I quit tobacco smoking 5 year back and I am happy with this decision. I used best4ecigs e-cigarette starter kits with their liquids because they have great range of liquids with great taste of vapor. I like their products instead of smoking hookah or cigarettes.